A perfect chaat dish for kids, healthy and tasty. Grind all the ingredients for pancakes nicely. Add a litte water to make a smooth batter. Heat oil on a griddle. Spread a little batter on the griddle and make small pancakes. When the pancake is about to be done, put a little cheese on it and cook it again for a minute. Now its ready , set aside. Take a pancake and add the toppings on the cheesy side. Serve as a snack or starter. you can try your choice of toppings. 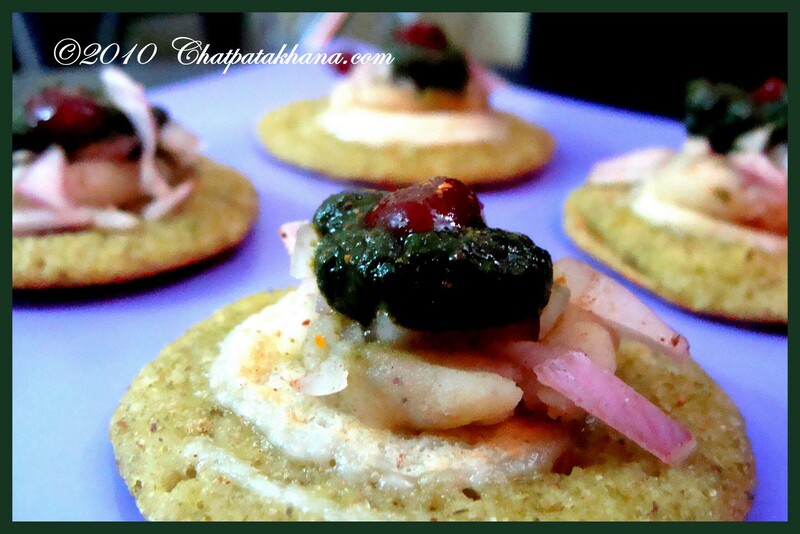 I haven't taste Pancake Chaat, I have tried pancake but not chaat. I'll try this out some time. I hope it tastes well.